Attorney Lucero Saldana Mistry joined our Civil/Immigration team as a Staff Attorney on Monday October 23. We have hired Lucy under a new immigration grant from Empire Justice to handle removal cases and other immigration work. 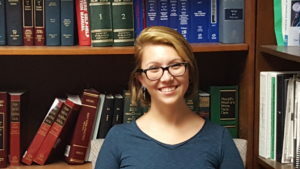 She graduated from the Florida Coastal School of Law in 2009 and has been handling asylum, removal and detention and naturalization cases since 2010. She has been active in trial and appellate practice before the Immigration Courts, the Board of Immigration Appeals and Administrative Appeals Office since 2010 as well. We are very pleased that she will be joining our immigration staff.